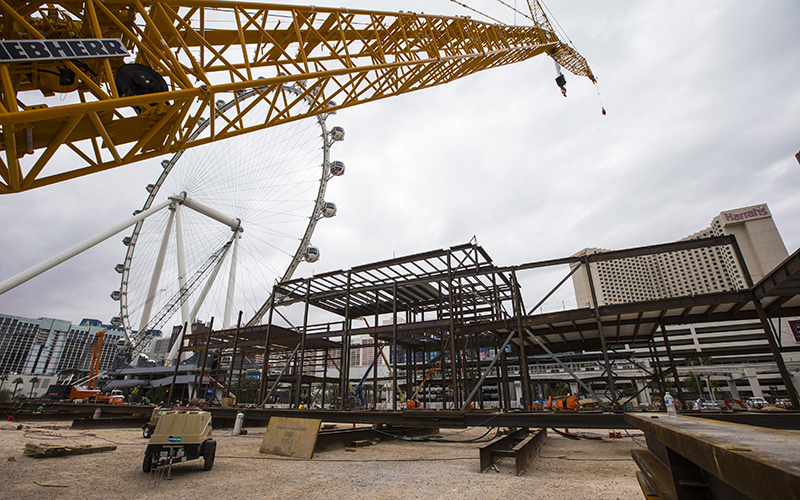 Rome wasn’t built in a day, but Caesars Forum in Las Vegas is making exciting progress. 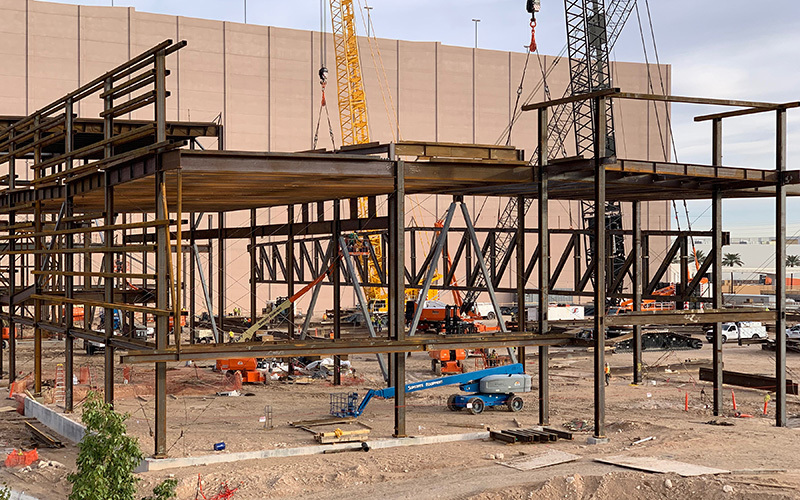 The casino-hospitality giant Caesars Entertainment announced a construction milestone today for the $375 million, 550,000-square-foot conference facility opening in 2020—the setting of the first steel truss, which takes the Forum past the groundbreaking stage, above ground and into the public eye. These are the building blocks to the soon-to-be two largest column-free ballrooms in the world. 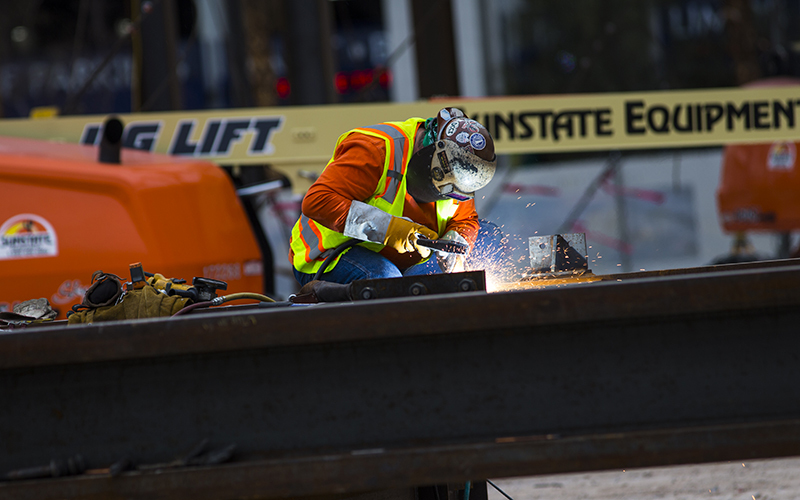 A truss so big at more than 300 ft. wide and 200 tons, that it had to be cut into pieces and reassembled onsite by crane. 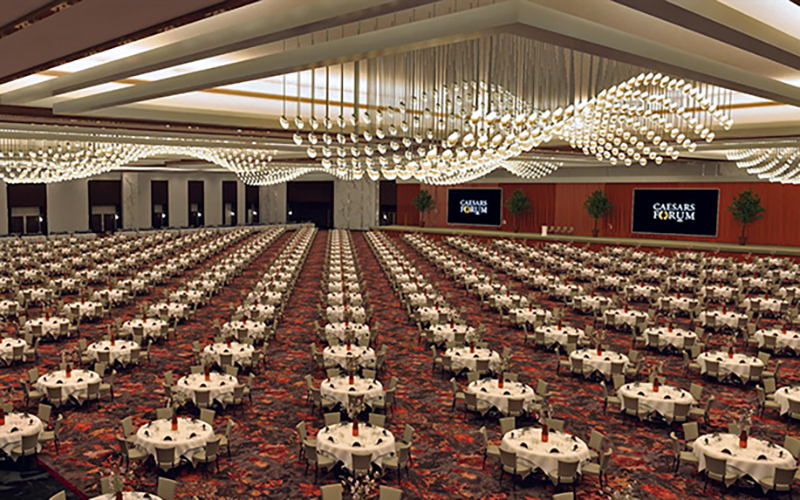 A conference center so large, it’s equivalent to 27 tennis courts and can easily fit an 18-wheeler. 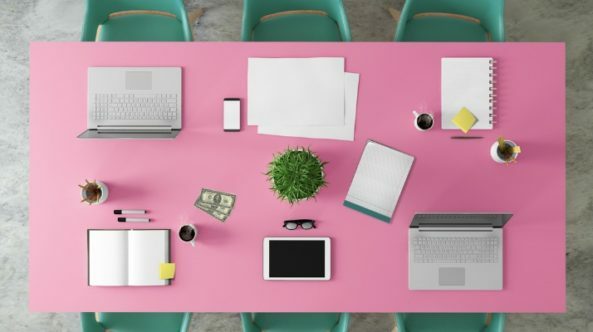 In other words—a meeting planner’s dream. 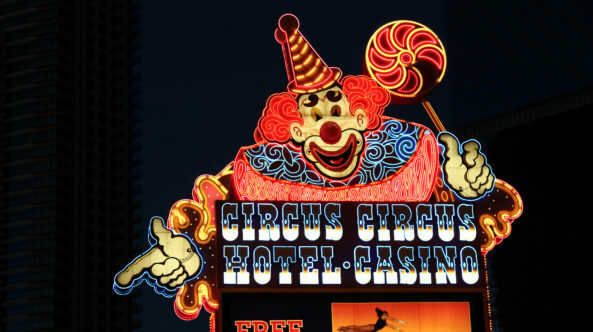 “This is an exciting step towards the development of Caesars Forum which will redefine the offering for meetings and events in Las Vegas,” said Michael Massari, Chief Sales Officer at Caesars Entertainment, in a press release. 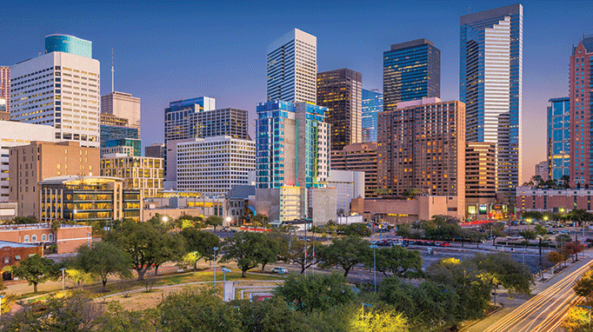 In honor of #TransformationTuesday, let’s take a peek at the property’s progress—past, present and future. 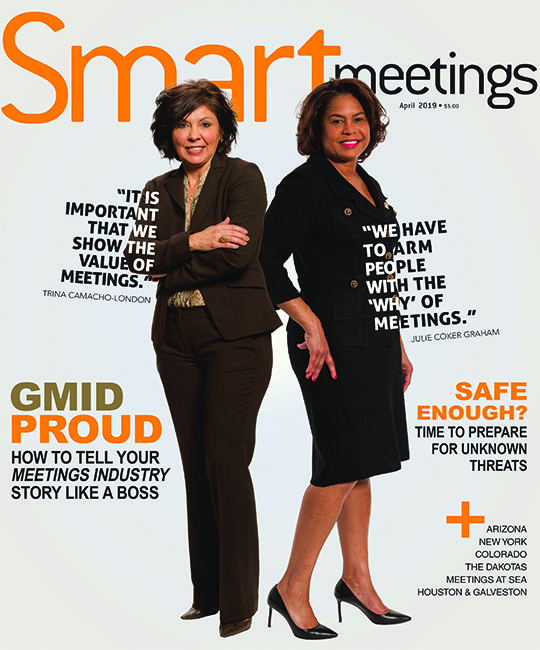 Swipe through to learn more and to get as excited about the meeting industry’s shiny, new hangout as we are. 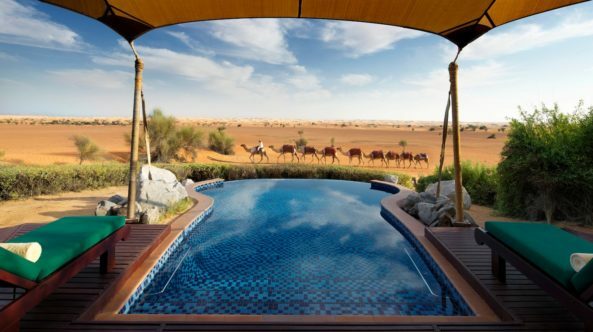 The property will feature 300,000 sq. 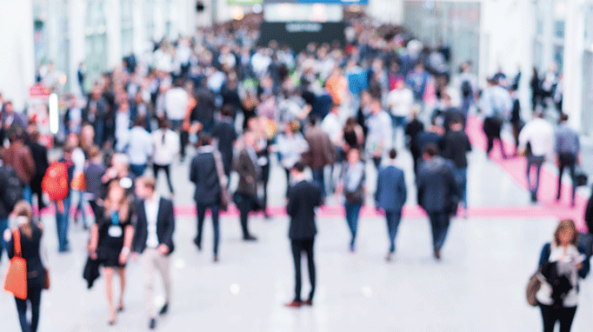 ft. of flexible meeting space, including two 110,000-square-foot pillarless ballrooms, two 40,000-square-foot ballrooms and six state-of-the-art boardrooms. It will accommodate more than 10,000 participants. 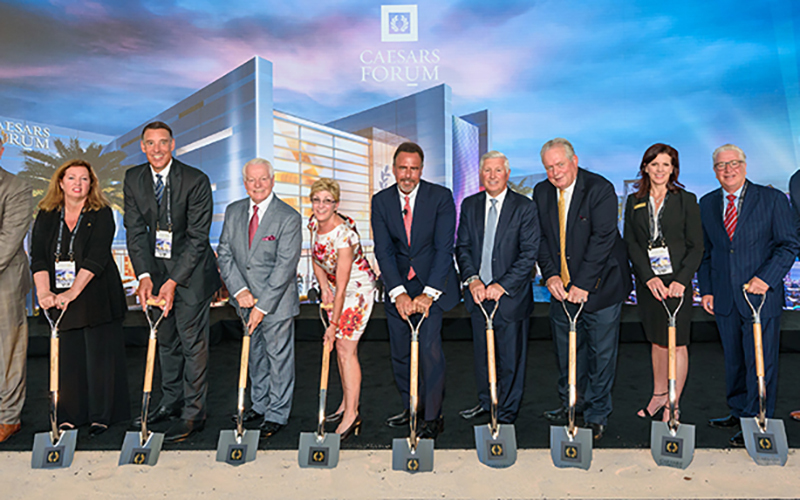 The Forum will be within walking distance to eight Caesars properties and more than 20,000 Caesars guest rooms. 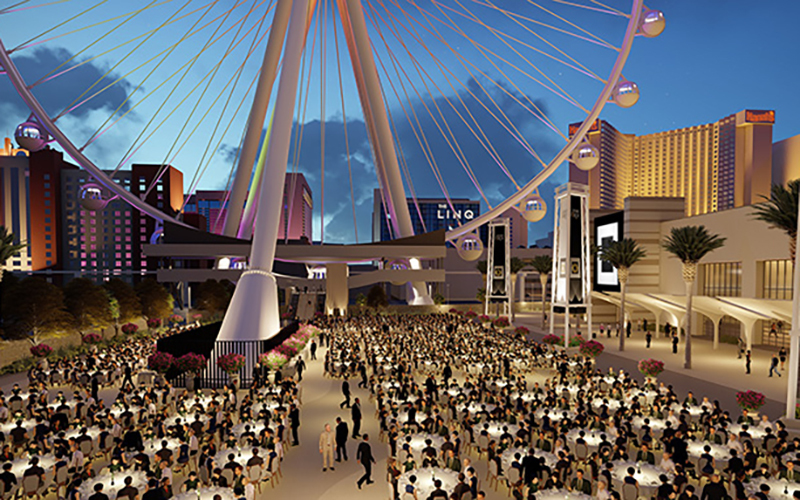 It will be directly connected to 5,000 rooms and provide direct access to LINQ Promenade, Flamingo Las Vegas, Harrah’s Las Vegas and The LINQ Hotel and Casino via skybridge and pedestrian bridge. The property will be the first of its size to be built on one level with nine accessible loading docks. It will also sport 100,000 sq. ft. of outdoor meeting and event space at the Forum Plaza, perfect for opening receptions. The facility requires 390,000 sq. ft. of carpeting, which was sourced from 15,363 sheep in the British Isles due to the durability of the wool. The conference center is aiming for LEED Silver-certification and will be covered in solar panels.